Welcome to West-Lothian Sub-Aqua Club! We are a group of people with one similar mindset - a love of scuba diving! 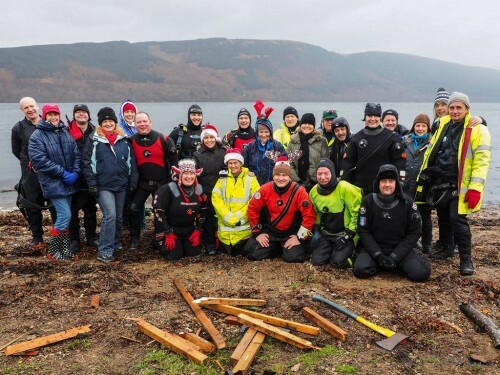 West Lothian sub aqua club is one of the largest scuba diving branches in Scotland. 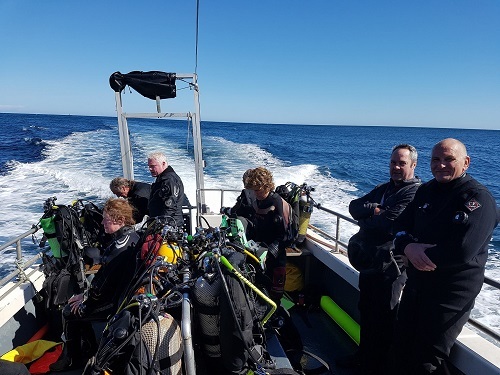 Serving the West Lothian area and beyond, we are a member of the Scottish Sub Aqua Club, the governing body for the sport of scuba diving in Scotland, in partnership with Sport Scotland. Many people find the concept of Scuba diving in Scotland to be absurd. However the reality is far from it! Take the plunge and you will find yourself immersed in an environment filled with kelp forests, natural reefs and creatures of all sizes. Whether you are complete novice or an experienced diver, be sure to come along and see us! Fancy taking your first steps into scuba-diving? Or an experienced diver looking for a group of like-minded individuals to enjoy your favourite pastime with? West-lothian Sub-Aqua club may be the place for you. As part of the Scottish Sub-Aqua club, we provide diver qualifications that are recognized world wide. Never dived before? Our experienced instructors can offer you a Try-Dive in a safe and controlled environment. The West-Lothian Branch is one of the largest branches of the Scottish-Sub-Aqua-Club. Our members are active throughout the year, with experience ranging from complete beginner to fully fledged instructors. By joining the branch, you will become part of a large social circle, with lots of activity both in and out of the water! From Facebook to our regular pool nights, you should never have trouble finding a buddy! Click the image below to see our members area! West Lothian Sub-Aqua Club is with Andy Craig. The champion of "🥚Geoff's Golden Easter Egg Hunt🥚" goes to Andy Craig - Well done! Also well done to James Souness who is continuing with his Branch Diver open water training (no photos from last week's dive so belated well done from us!). We are just back from another first class weekend at Doune-Knoydart with our great hosts Andy & Liz Tibbetts. After some chilled out "warm up" dives at Kentallen, Loch Linnhe on the way up to Mallaig, we then spent the weekend diving stunning walls at Rubh'an Dunain on the Isle of Skye. We then followed with some nice relaxing dives at Camas Mor and Egamol, over on the Isle of Muck. Brilliant weekend with top class UK diving, great company and award winning food!